What you eat affects your mouth not only by building healthier teeth and gums, but also by helping prevent tooth decay and gum disease. 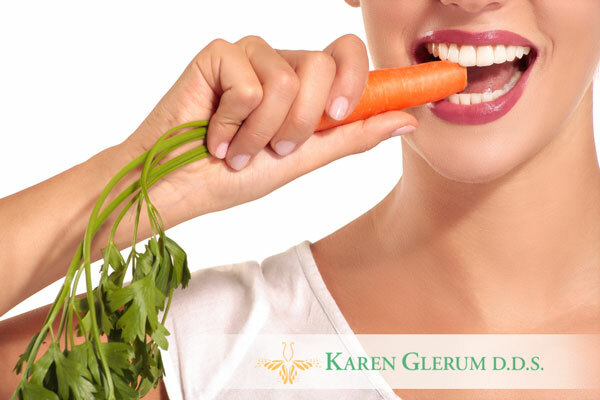 Learn how to eat the best diet for your teeth – including the foods to eat, beverages to drink, and what to avoid – with help from a Boynton Beach dentist! What you eat affects your mouth not only by building healthier teeth and gums, but also by helping prevent tooth decay and gum disease. While a healthy diet rich in fruits and vegetables, whole grains, lean proteins, and unsaturated fats will benefit your overall oral health, there are a few standout foods and nutrients that can really boost it. A diet with adequate calcium may prevent against tooth decay. When a diet is low in calcium, as a majority of Americans’ diets are, the body leeches the mineral from teeth and bones, which can increase your risk of tooth decay and the incidence of cavities. A study that appeared in the Journal of Periodontology found that those who have a calcium intake of less than 500 mg, or about half the recommended dietary allowance, were almost twice as likely to have periodontitis, or gum disease, than those who had the recommended intake.The jawbone is particularly susceptible to the effects of low calcium. It can weaken because of low calcium intake, which in turn causes teeth to loosen, leaving you at greater risk for gum disease. The Food and Drug Administration recommends 1,000 mg of calcium daily for women younger than 50 and for men of any age, and 1,200 mg for women over 50. Calcium is found in dairy foods like milk, cheese, and yogurt; in fish, including sardines with bones and salmon; and in some vegetables, including kale and broccoli. Eating two to four servings of dairy per day will help you meet the RDA for calcium. The body needs vitamin C to repair connective tissue and help the body fight off infection. No surprise then that a study at the State University of New York at Buffalo showed that those who eat less than the recommended 75 to 90 mg per day are 25 percent more likely to have gingivitis than those who eat three times the recommended daily allowance. Gingivitis is the mildest form of periodontal diseases, and it causes the gums to become red from inflammation, swelling and bleeding easily. Eating one piece of citrus fruit (oranges, grapefruits, tangerines) or a kiwi daily will help you meet the RDA for vitamin C.
Sugary snacks, especially gummy candies and hard candies that stick in your teeth, are at the top of every dentist’s list of foods to avoid. Regular soda provides a double hit to teeth, combining sugar with acids. Even foods and drinks that are good for your teeth, like milk, contain sugars. No matter what you eat, it’s important to brush and floss afterward — or at least to rinse your mouth with water. Brush twice a day using either a manual or power toothbrush, and remember to visit a dentist at least twice a year for checkups. If you have any additional questions about your oral health, be sure to contact our team at our Boynton Beach, FL office.